Sammy Cahn and Julie Stein wrote six songs for the 1947 movie It Happened in Brooklyn,including “The Song’s Gotta Come from the Heart,” which was performed as a duet by Frank Sinatra and Jimmy Durante. Durante later recorded the song on the RCA Red Seal label with the dramatic soprano Helen Traubel as his partner. 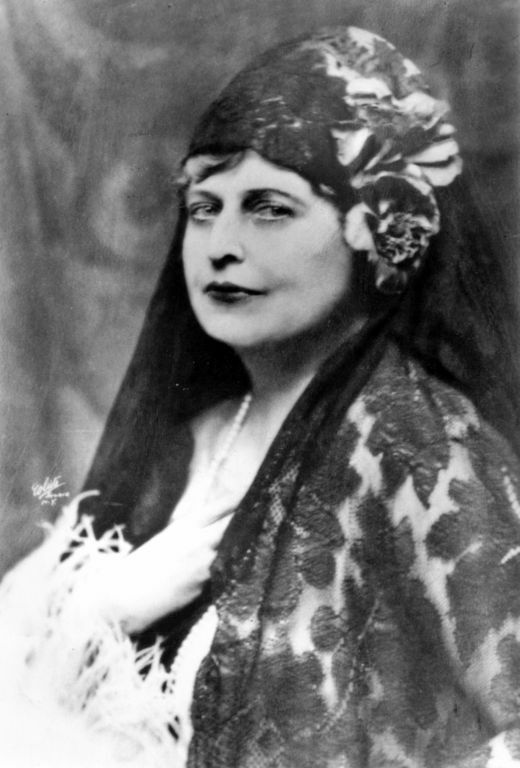 I thought of that song the other day when my son, Christian, pointed out that Meryl Streep is to star in a movie about Florence Foster Jenkins (1868-1944). Chris wasn’t aware of this, but in 2007 I reviewed a play, Souvenir, by Stephen Temperley, in which Liz McCartney played Mrs. Jenkins and Jim Walton played her accompanist, Cosmé McMoon. There are at least three other plays about her. Before I saw Souvenir, I had never heard of Mrs. Jenkins, who was born to a wealthy family in Wilkes-Barre and became an accomplished pianist while still a child, even playing at the White House during the administration of Rutherford B. Hayes. When her father refused to finance a European musical education, she eloped and moved to Philadelphia where she taught piano until she injured her arm and, her marriage having ended, was reduced to poverty until her mother came to her assistance. 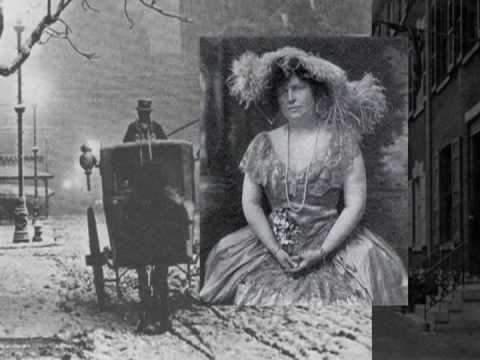 Around 1900 she and her mother moved to New York City together, and there Mrs. Jenkins entered into another marriage that would last until she died. When her father died in 1908, she inherited enough money to become a prominent Manhattan socialite and to undertake voice lessons. She became even wealthier when her mother died in 1912. 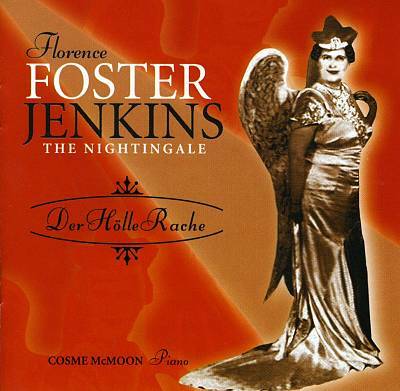 Mrs. Jenkins was under the impression that she was a talented soprano, but the fact was that she couldn’t sing at all. She had no command of tone, pitch, rhythm, or diction. But she continued to study voice, and she gave periodic invitation-only recitals attended by friends who would not have told her the truth. She dressed in elaborate costumes that she had designed herself and engaged in such melodramatic gestures as throwing flower petals to the audience. Because these recitals were private, there were usually no professional critics present. Mrs. Jenkins, who was widely ridiculed, would at times detect laughter during her performance, but she attributed that to the agents of rivals who wanted to discredit her. 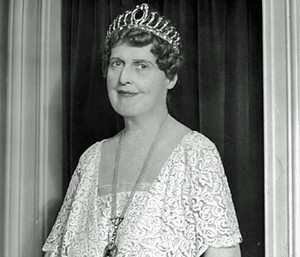 When she was 76 years old, Florence Foster Jenkins finally gave a public concert at Carnegie Hall, and tickets sold out weeks in advance. Because it was a public event, critics attended, and they were merciless in their accounts of the performance. Mrs. Jenkins was badly shaken by what was written and said about her; she died of a heart attack two days later, appropriately while shopping for sheet music at G. Schirmer’s music store. One of the consequences of Mrs. Jenkins’ first marriage was that she contracted syphilis from her husband, a disease for which there was no effective treatment before the discovery of penicillin. The disease itself and the treatments, which commonly employed mercury and arsenic, gradually ravaged her brain and her auditory and central nervous systems. Temperley’s play, which does not broach the subject of venereal disease, is, on balance, gentle with Mrs. Jenkins. I suspect a movie treatment will more deeply explore the woman’s background. Still, I find myself hoping that the filmmaker will find something sympathetic, if not admirable, about a woman who so doggedly pursued her ambition and didn’t have to die with the regret that comes with never having tried.